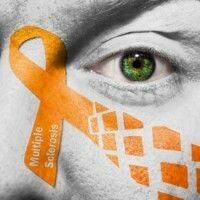 Multiple Sclerosis is a chronic autoimmune disease that is characterized by the degeneration of the fatty myelin sheath surrounding nerve fibers in the brain and spinal cord. Also causing chronic inflammation and depleting the body of key antioxidants that leads to a substantial increase in oxidative stress. This is where the connection between Glutathione and Multiple Sclerosis begins. Glutathione is our body’s Master Antioxidant. Critically important for every bodily function and essential for preventing disease and ensuring total cellular health. Multiple Sclerosis (MS) causes this important antioxidant to become depleted, increasing oxidative stress and inflammation. Research being conducted on Multiple Sclerosis suggests that antioxidant therapy may help inhibit the progression and development of MS. 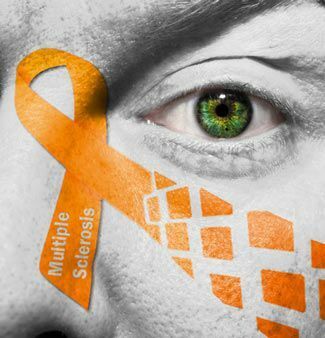 Susceptible to numerous symptoms, sufferers of Multiple Sclerosis experience a breakdown in neural communication between nerve cells. Because MS causes the body’s immune system to attack and breakdown the myelin sheath surrounding these nerve fibers, severe scarring occurs which causes a signal interruption. No longer able to conduct signals between one and other, this neural disconnect causes a plethora of symptoms and detriments to the patients health. Glutathione (GSH) levels in our cells are a direct indicator of how long we’ll live and how healthy we are. This is because without this Master Antioxidant we cannot survive. When we fall ill it is because of a drop in GSH levels. Low Glutathione levels result in liver dysfunction, heart disease, crippled immune function and premature aging. Inhibiting the replication of viral pathogens when GSH levels are abundant. There is no question why this is the body’s most powerful antioxidant. Vitamin C is widely regarded as a powerful antioxidant that can help fight illness and disease. However without Glutathione Vitamin C cannot function, not to mention that GSH is hundreds of times more effective than the popular Vitamin C.
Thinking of the nerve fibers and myelin sheath as a wire coursing with electricity, the myelin sheath would be the plastic coating ensuring the wire is insulated and the electric signal is reaching its destination without interruption. When this sheath or coating is damaged it causes the wire to short circuit in a sense, burning out and scarring over, ceasing future signals completely. Studies have shown that the breakdown of the myelin sheath releases chemical elements that trigger high levels of oxidative stress. Compounded over numerous demyelination processes, the oxidative stress levels begin to soar, causing a severe immune response and significant amounts of inflammation. This is a dangerous process because the symptoms begin to trigger further immune responses that cause further damage and even more oxidative stress. Glutathione is our body’s best way of dealing with excess oxidative stress. Ridding our bodies of these harmful compounds and allowing our immune system to respond to the cause rather than the effects of MS. Incremental therapy of Glutathione and nutritional precursors of GSH such as Acetyl L Cysteine has become a more popular treatment of MS because of their powerful effects against oxidative stress and their ability to improve cellular health. Glutathione and Multiple Sclerosis treatment has extremely promising results, improving the body’s ability to minimize damage caused by MS and even aid in the repair of damaged cells. Anyone suffering from Multiple Sclerosis should supplement Glutathione and its precursors in order to slow the progression as well as repair the damage caused by MS. Helping prevent the afflictions in the first place, supplementing Glutathione is your best defense against Multiple Sclerosis. Oral supplements such as Acetyl Glutathione, N Acetyl Cysteine, R-Alpha Lipoic Acid and Milk Thistle can have immense benefits when treating MS symptoms, reducing cellular damage and repairing damaged cells. SynergiaGSH is a total immune health supplement that contains all the above nutrients in their purest and highest quality forms. By supplementing with this top quality Glutathione enhancing supplement it is possible to minimize cellular damage and significantly improve the condition of those suffering from Multiple Sclerosis.